I finally tried to make Vietnamese Egg Coffee and it wasn't half bad! I'm quite happy with the results. I made it during CG supper time today and it was quite well received. This was how it turned out. The only thing I was not happy with was that I was not able to get the egg beaten well enough. It was not as frothy as I would like it. 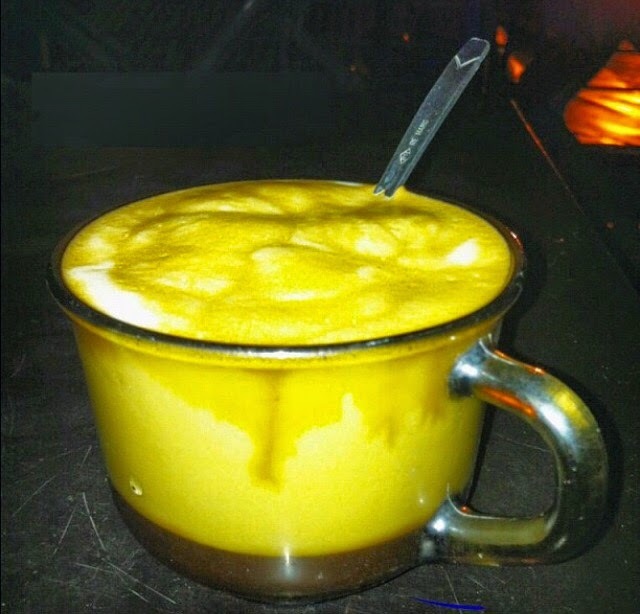 This was my first Egg Coffee in Pho Co Cafe, Hanoi in year 2012. It was good, but the arduous climb up the stairs to the roof--at certain spots even rickety, dark and dank--kind of took the fun out of it. 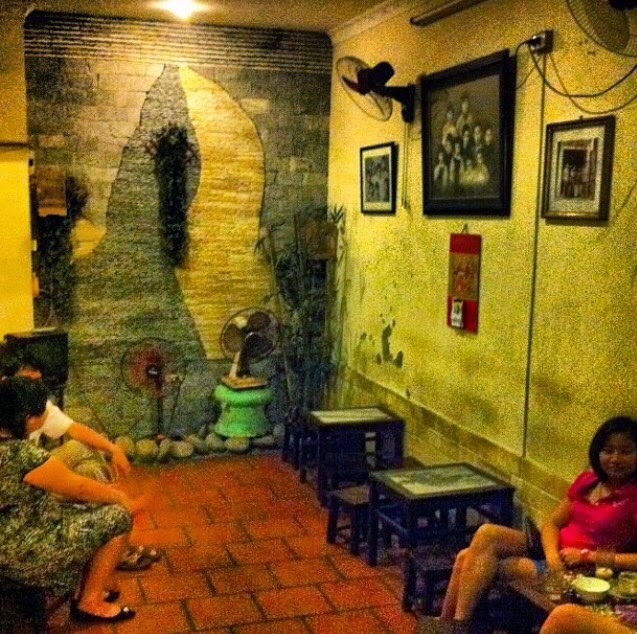 Then I made my way to Giang Cafe, Hanoi. This was a much better experience and the coffee was much better. 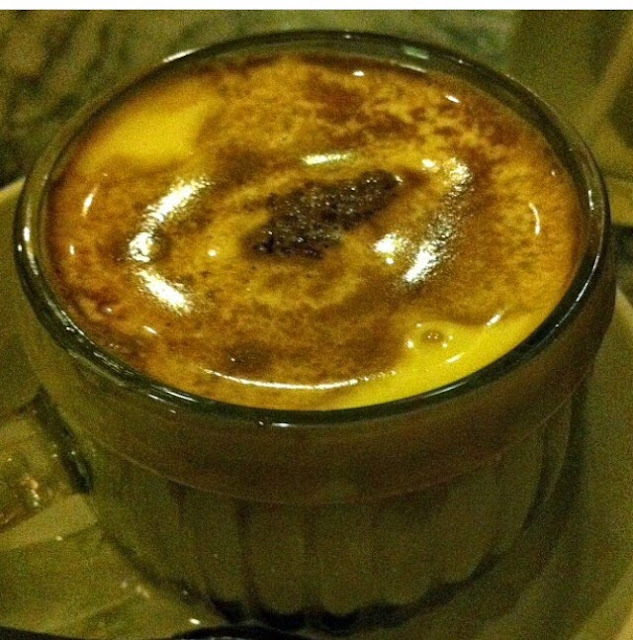 I sure wish I were back in Hanoi to taste the authentic Giang Cafe Egg Coffee, but what I had made myself in CG this evening was good enough. I shall certainly try it again. Here's the recipe if you would like to give it a try. I've adapted it from Legal Nomads. 1. Brew a small cup of Vietnamese coffee. 2. Crack an egg and discard the whites. Put the yolk and the sweetened condensed milk in a small, deep bowl and whisk vigorously until you end up with a frothy, fluffy mixture. 3. Add a tablespoon of the brewed coffee and whisk it in. 4. 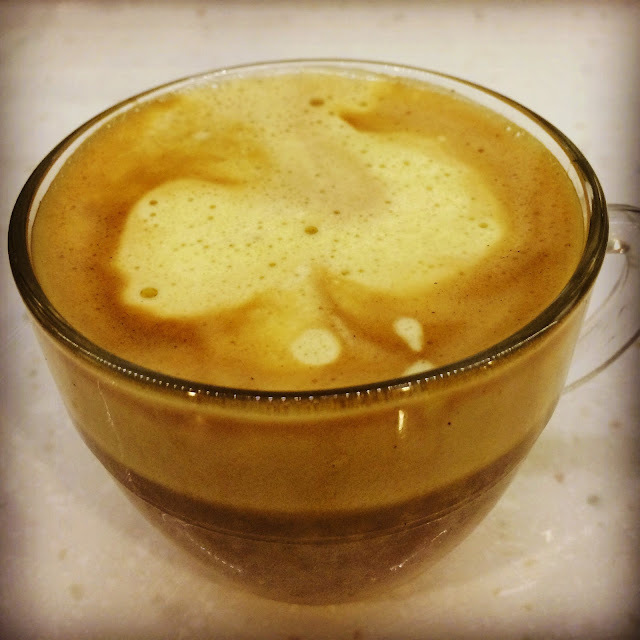 In a clear coffee cup, pour in your brewed coffee, then add the fluffy egg mixture on top. 5. Pour hot boiling water in a small bowl and place the cup of coffee in it. This will keep your cuppa piping hot as you enjoy it sip by sip. Thanks jesscet :) I enjoy making it for you.